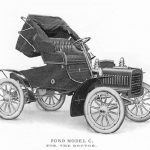 In 1908, the Ford Motor Company, founded by Henry Ford just five years earlier, released its first Ford Model T—and the world has never been the same. 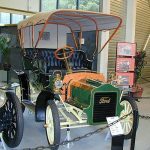 The Model T was the first car that ordinary people could afford, and is regarded by automobile historians as the car that ushered in the Automobile Age (and killed the then extremely popular electric car). From 1908 until production ended in 1927, more than 16 million Model Ts were sold worldwide. No other car model ever sold as well…until 1972, when it was finally surpassed by the VW Beetle. But the Model T’s great success overshadows all the models that came before it—all of them based on previous alphabet letters. 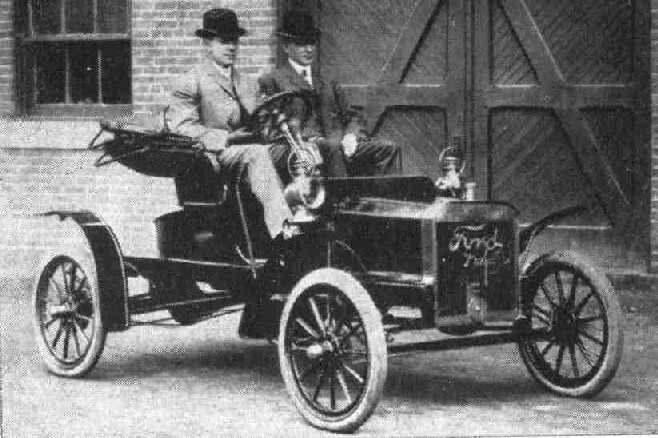 Did Henry Ford make nineteen earlier models before the Model T—one for each letter before “T”? No. Most were experimental and never made it to production. But eight did. 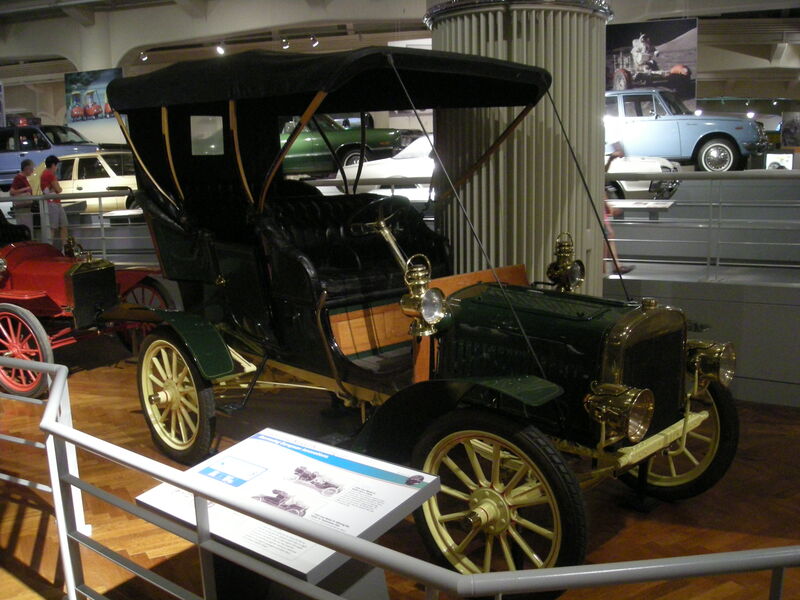 MODEL B (1904–05): This was a touring car, and much closer to the modern car configuration. It had two bench seats and came with doors—although only rear doors (the front seat had open access). The engine was located in its own compartment in the front of the car, under a hood and behind a radiator. 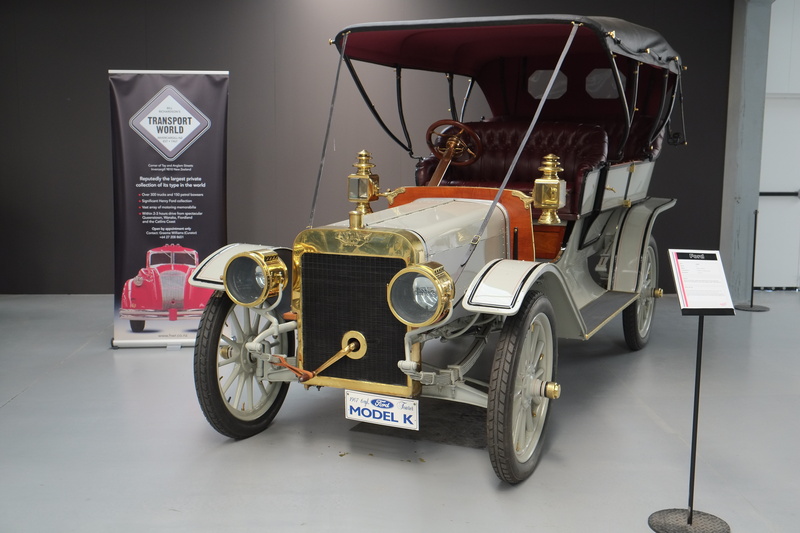 The Model B was a luxury car, with polished wood, brass fittings and trim, came with leather seats and a canopy roof, and even had gas-powered headlights (although they were optional and cost extra). Top speed: 40 mph. Cost: $2,000. A total of about 500 Model Bs were sold. 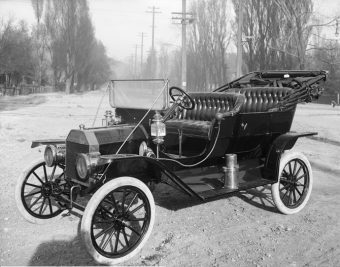 MODEL C (1904–05): This model was simply an updated version of the Model A. The engine was still under the front seat, but the Model C had a front compartment and hood anyway—that’s where the gas tank was located. The engine was also slightly larger, giving it a top speed of about 38 mph. Cost: $850. About 800 were sold before the Model C was discontinued in 1905. Special option: You could buy a Model C with a Model A engine—in which case it was called a Model AC. 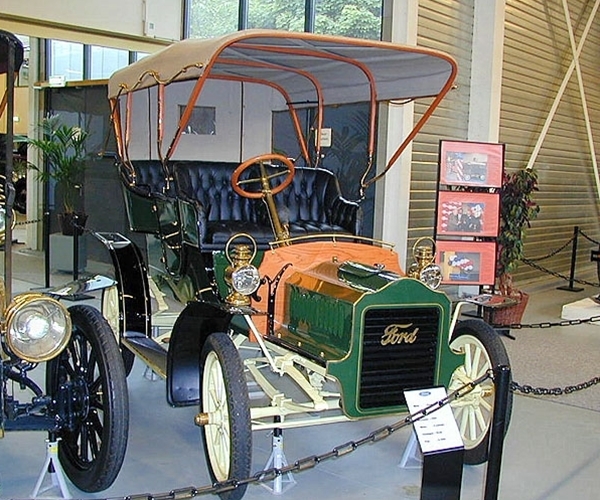 MODEL F (1905–06): An update of the Model C. The engine was still under the front seat, the gas tank was under the hood, it still had no front doors, but it was larger and longer, and the rear seat was now standard. And it had “running boards”—narrow steps located below the doors to make it easier to get into the vehicle—the first Ford to have them. Cost: $1,000. About 1,000 were made. The Model K was big. It had a wheel-base—the distance between front and rear wheels—of 114 inches. (By comparison, the Model B’s was just 92 inches, and the Model A’s was 72 inches). It was also Ford’s first car with a 6-cylinder engine (earlier models had either 2 or 4 cylinders). Like the Model B, it was flashy, and intended for wealthy customers. Cost: $2,500 (about $65,000 in today’s money). Its two-year run was Ford’s longest yet—but only 950 models were sold. Ford would not make another 6-cylinder car for 35 years and turned his full focus to making very unluxurious automobiles. 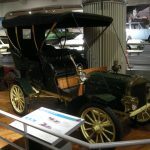 MODEL N (1906–08): The simple Model N was a sign of things to come for the Ford Motor Company. A successor of the A, C, and F models, the Model N came in only one color (maroon). It had only one bench seat, a small 4-cylinder engine capable of a top speed of about 40 mph, and no running boards. It was a plain car for plain people—and at a cost of just $500 (about $13,500 today), more than 7,000 of those people snapped them up in just two years. 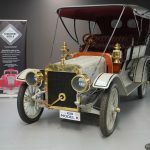 MODEL R (1907): Drivers loved the simple Model N, but some people wanted a bit more—hence the Model R. It was basically a slightly larger Model N, with running boards, stylized fenders, and a few other improvements. Cost: $750. More than 2,500 of them were sold in just six months. 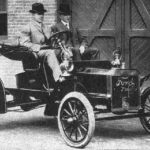 MODEL S (1907–09): The Model S was another gussied-up Model N, this time with a fancier fender and running board configurations, and an option for a fold-down, single-person mother-in-law seat, or “rumble seat,” in the rear. Cost: $700. About 3,750 sold. More importantly, during the run of the Model S—the Model T was released. And the rest…is car history. The Model T came in several different styles during its long run, including roadster, four-door sedan, station wagon, and even as a pickup truck for a couple of years (from 1925 to 1927). They all had 4-cylinder engines and an average top speed of around 45 mph. The cheapest models cost just $260 (about $7,000 today)—all the way into the 1920s. 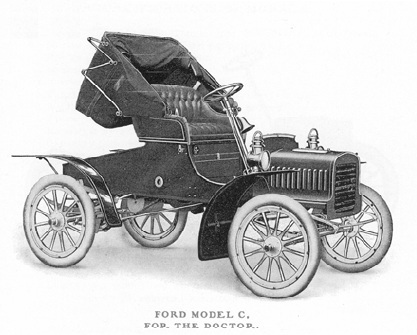 The first person to own a Ford Motor Company car: Ernst Pfennig, a dentist from Chicago. He bought the first Model A ever produced on July 23, 1903. Through the early 1920s, the low-cost, bare-bones Model T dominated the automobile market. By the mid-’20s, other car companies had begun using Ford’s mass-production techniques and were offering what Ford considered “cosmetic luxuries” as standard equipment. But despite a dropoff in sales and against the advice of his son, Edsel, Henry Ford steadfastly refused to change the Model T. In 1926, he finally relented, allowing Edsel to develop a new model, called the Model A. Yet when the Model A was released in 1927, the elder Ford took all the credit. In its four years of production, more than 4.8 million Model As were sold. The model A Henry Ford First production car. The second Model A Edsel Ford first production car. That’s why the repeat. Different designers.